Ministry of Transport and Works employees clearing the sidewalks. The South coast - Worthing area, has been swept clean. 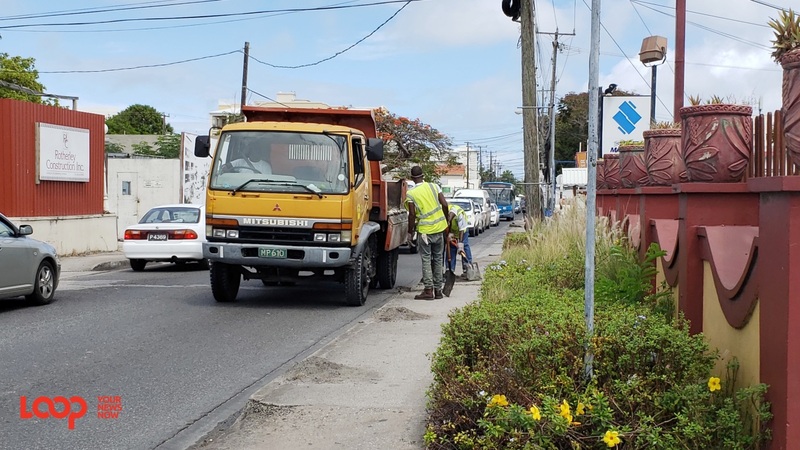 Traffic was moving slowly along Worthing Main Road from the lights at Rendezvous to St. Lawrence Gap this morning around 10:00 am as workers from the Ministry of Transport and Works (MTW) shovelled debris onto a six-wheeler truck. Related article :8 South Coast changes: Do you remember the old South Coast? 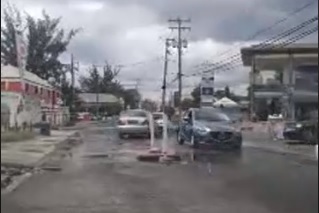 The silt, mud, grass, leaves and other deposits were removed from the gutter and pilled on the sidewalks all along the stretch previously by other public workers from a different department. However, today, the MTW workers braved the hot sun and moved close to 100 or more piles of debris. One worker said that it makes no sense it getting washed back into the drains and gutter when the rain falls. Three men in high-visibility vests, as well as the driver of the truck, accompanied him. Another public worker said that he was "glad" the media was highlighting them working because "nuff people feel we don't do nuttin". A woman who works in the area told Loop News she was indeed pleased to see the government workers hard at work. “No slacking off now!” She said that it was an inconvenience on the sidewalk for pedestrians but it had to be done or when the rains come, "it would just be more problems". In the area, the stench is noticeably lesser and many areas, which were once wet and flooded, were dry when Loop visited today. 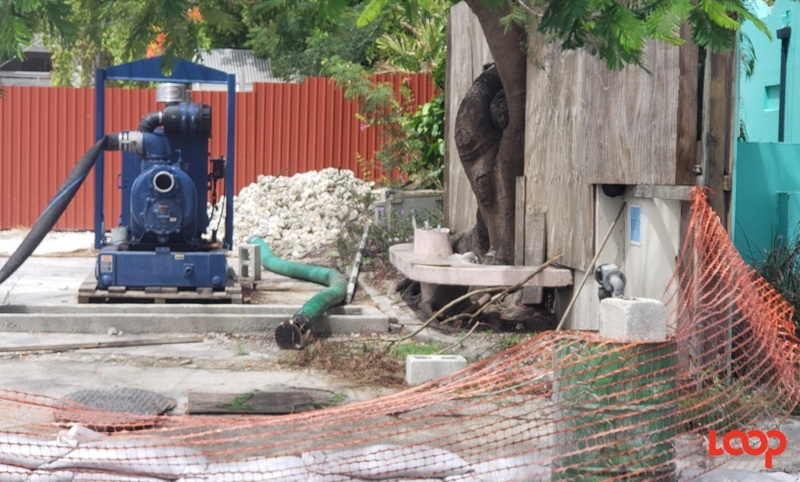 By the pump installed by the Barbados Water Authority (BWA) near the old entrance to the now derelict Savannah Hotel was dry. Behind the Sun Plaza, formerly Club Xtreme was dry. Next door to Pit Pan was dry. The front yard of the newly-renovated and reopened Chicken Barn was dry. 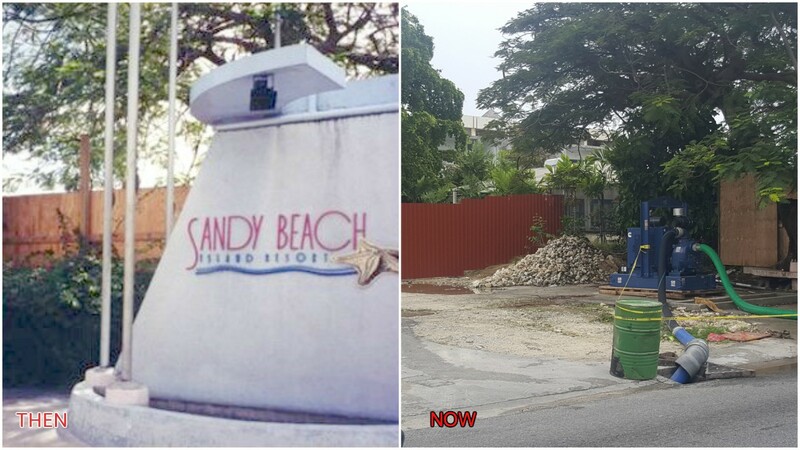 However, despite these observations, on that South coast stretch the Lucky Horseshoe restaurant is still closed as renovations continue, and Kelly’s Kloset still has up its closed and relocation signs. This boutique is situated right next to the pump on the main road, where there was much overflow in the past. 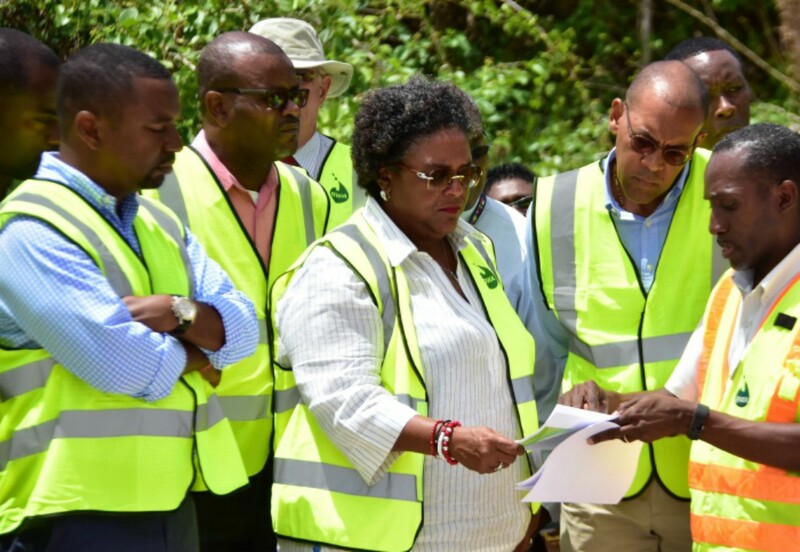 When Loop News spoke to one hotelier in the area, General Manager Gloria Maynard, she said that workers have been commenting about the dry spell from last weekend. 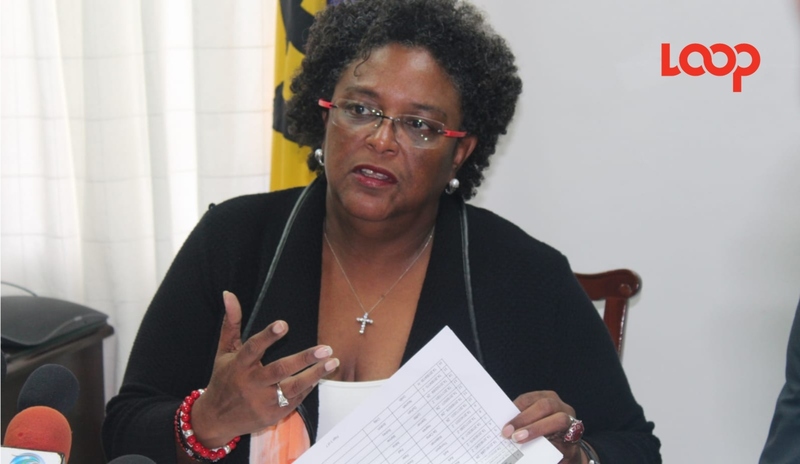 She said that other improvements are being noted especially as it relates to a reduction in the foul odour from before. Maynard manages Palm Garden Hotel in Worthing.